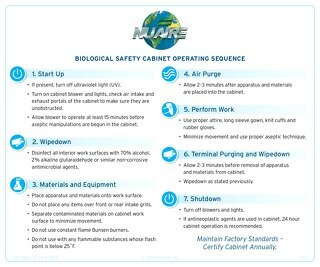 From start up to shut down, learn how to work safely in your biosafety cabinet. 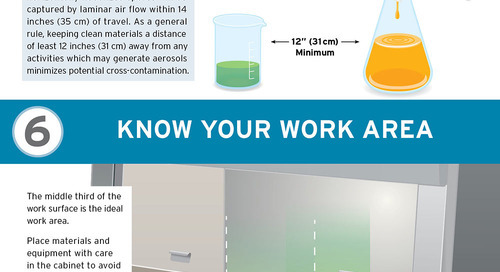 Ten tips to help you use the proper aseptic technique when working within a Class II Biosafety Cabinet (BSC) to minimize air turbulence and prevent the spread of aerosols. Biosafety Cabinets (BSCs) a are designed to remove or minimize exposures to hazardous biological materials and particulates. 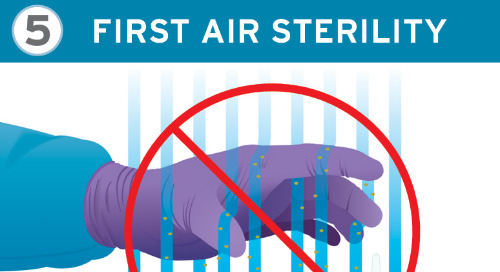 Learn steps to take before you begin work in your Biological Safety Cabinet. A proper biosafety or operations manuals will specify practices and procedures designed to minimize and eliminate risks. The use of proper procedures in the Biosafety Cabinet (BSC) cannot be overemphasized in providing primary personnel and environmental protection. Proper technique when working within the biological safety cabinet will minimize air turbulence and prevent splatter or unwanted spread of aerosols. 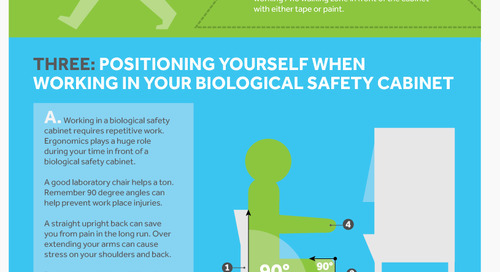 An important part of a safe work environment is making sure it is ergonomically designed to work with you, not against you. After work has been completed proper protocols must be followed to decontaminate the biosafety cabinet to avoid potential contamination risks. Proper preventative maintenance, yearly maintenance, and certification are needed to maximize your products life as well as keep up to date with industry standards to eliminate safety hazards.